Backaches are so painful that it can make your life standstill. Even the slight movement becomes difficult for the people suffering from the backache. Yesterday I discussed about how to strengthen your back. Hope you are have incorporated all 8 tips in your daily life to give yourself the healthy back. However sometimes, irrespective of how much careful you are, you suffer from the backache. Times when you are suffering from the backache the below mentioned home remedies comes as handy to treat it. Today I am listing here the few home remedies that I have personally tried and have got the relief. 1) Heat Treatment: Heat treatment is the age old method to get the relief from the back pain. Take two cups of water in the pan and heat it. When water starts boiling, switch off the gas and put the boiling water in the bottle. Make use of Heat Pads or heat bottles. Avoid pouring it in plastic bottles for obvious reasons. Put this bottle of hot water on the affected area. To get the relief quickly apply iodex / move and then keep the hot water bottle on the back. 3) Calcium: As we age, the requirement of the calcium by our bones increases. Weakness in bones can results in pain in knees, back and other body parts. Hence doctors advise to have the calcium rich food like banana, dairy products, dark leafy vegetables, soyabean, etc on the daily basis. Increase the intake of calcium rich food. 4) Garlic Oil: Garlic Oil has the properties that can reduce the pain of the back ache to the greater extent. Take few drops of garlic oil in the bowl and heat it. With your finger tips apply the warm oil on the back in the circular motion. Massage it lightly and sleep on your back straight for some time. You can repeat this after every 3 hours till you are relieved from the pain. Heat it till it is golden brown. Switch off the gas and let the oil get cool. Once cooled drain it and pour it in bottle. Use it as required. Apart from this, you should also increase the intake of garlic in your diet for quicker relief. 5) Raw Potato: Raw Potato is also the wonderful treatment for back pain. Cut the raw potato in circles. Apply it on your back. The liquid of the raw potato has the properties that help in curing backaches. 6) Vitamin C: Apart from Calcium, Vitamin C is another important item which is required to keep the backache at bay. In order to get the relief from back pain, intake around 1500 mg of Vitamin C daily. Food items like citrus fruits, berries, pepper, guavas, kale, etc are rich in Vitamin C.
7) Lemon: Lemon is another great remedy for back pain and a natural source of Vitamin C. Squeeze the fresh lemon. Add a pinch of sugar and salt and mix in one glass of water. Drink it every morning to get a relief from the back ache. 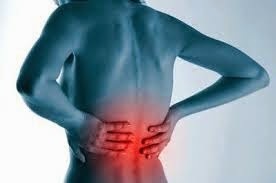 Are there any other remedies you have tried to get the relief from back ache which are not covered here? If yes, don’t forget to share with us and our readers to get benefit from it.